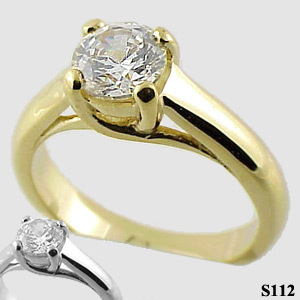 Stock #PLAS112:Platinum Very popular, contemporary Lucern solitaire ring. Nice, heavy, top quality ring. Beautiful Russian Cubic Zirconia. Also available blank to mount your stone. Matching Band is part number PLHR112. Weights are approx 8-12 grams depending on stone size!